Marie Kondo is well known and deserves to be. Her books on decluttering are quite influential in many people’s lives. The author of this recent article in Fast Company has nothing but praise for Kondo. I especially liked that she mentions thanking items for their service in her life, and that she linked to a UCLA study that shows spikes in diurnal cortisol levels (a measure of stress) in people living in very cluttered homes. 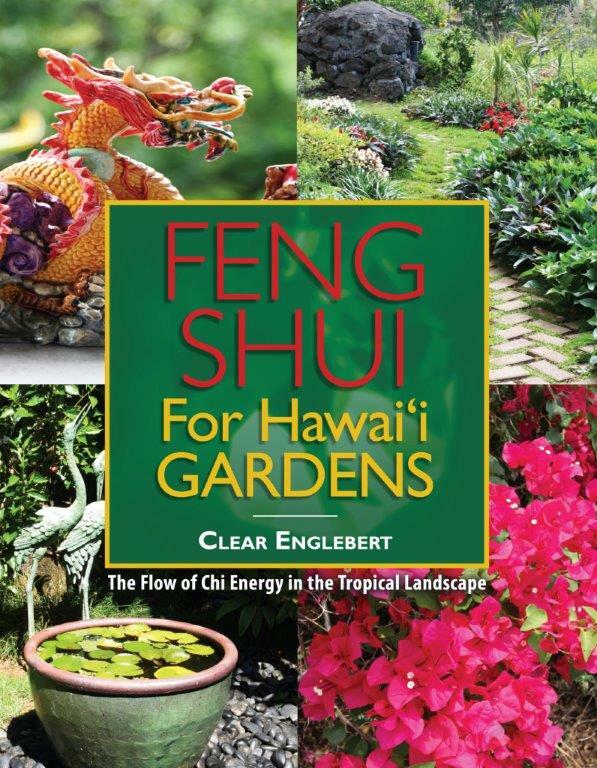 When someone is sick with something like cancer or diabetes and they ask me for feng shui advice, my first question is, “Is your home cluttered?” Their answer is almost always yes. In feng shui, clutter symbolizes stagnation in your life. Clutter can accumulate in many places. 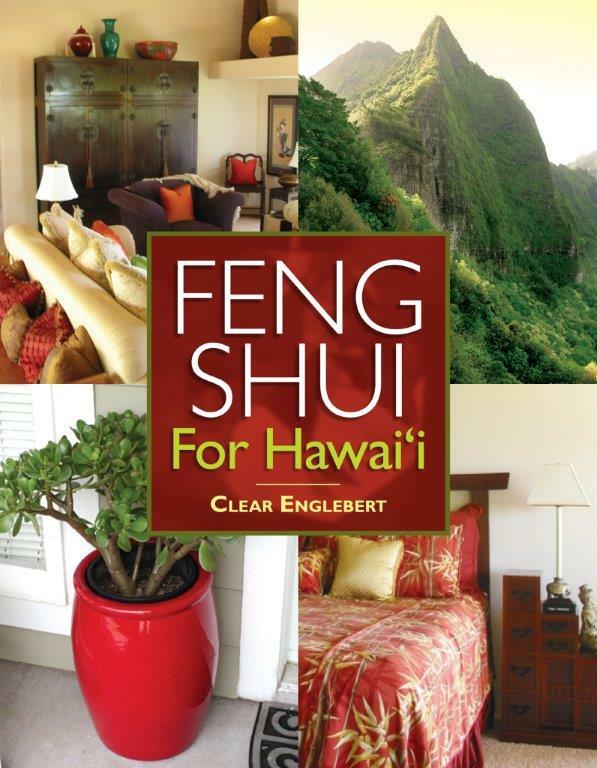 In Feng Shui for Hawaii, I address it at the front door (piles of slippers), on the refrigerator (magnets, photos, papers posted all over) and on the bed (masses of superfluous decorative pillows—a particular pet peeve of mine; I’ve gone into further detail about that one on this blog). If you cannot deal with divesting yourself of accumulated things, at least edit, categorize and pack. And keep it neat! When it comes to decluttering, there are types of clutter. There are the items that are evident and easily tidied and pared down, such as all those things in places I just mentioned above. There’s the type of clutter that verges on hoarding, like piles of old papers, magazines and broken things. Those should be the first to go. And then there are items that can accumulate en masse, but aren’t easily sorted, thinned out or thrown away, like important documents and photographs. From a feng shui standpoint, it is acceptable to (neatly!) store away things from the latter category to be evaluated later when you have the time to devote your attention to the job. Kondo believes you must devote your full attention to the evaluation process. I appreciate this mindfulness. It’s definitely possible to take decluttering too far, and Kondo is guilty of that in her first book, The Life-Changing Magic of Tidying Up. On page 95 she explains how she rips pages that she likes out of books. I think that’s a fine scheme for magazines, but I have more respect for books than she does. I’m a book collector, and one bit of her advice (which she puts in bold type) is just plain wrong, as far as I’m concerned: “The moment you first encounter a particular book is the right time to read it.” This is obviously coming from someone who doesn’t read very many books. If I followed that advice, I’d never leave a good bookstore. Here’s my advice on the same subject: The moment to acquire a book is when it’s something you know you want and it’s a price you consider reasonable. Once you own a book, you do not have to feel any pressure to read it. Read it when it calls to you and you have the time. Readers of this blog know that I am an avid book collector. How you curate and store the books is important. 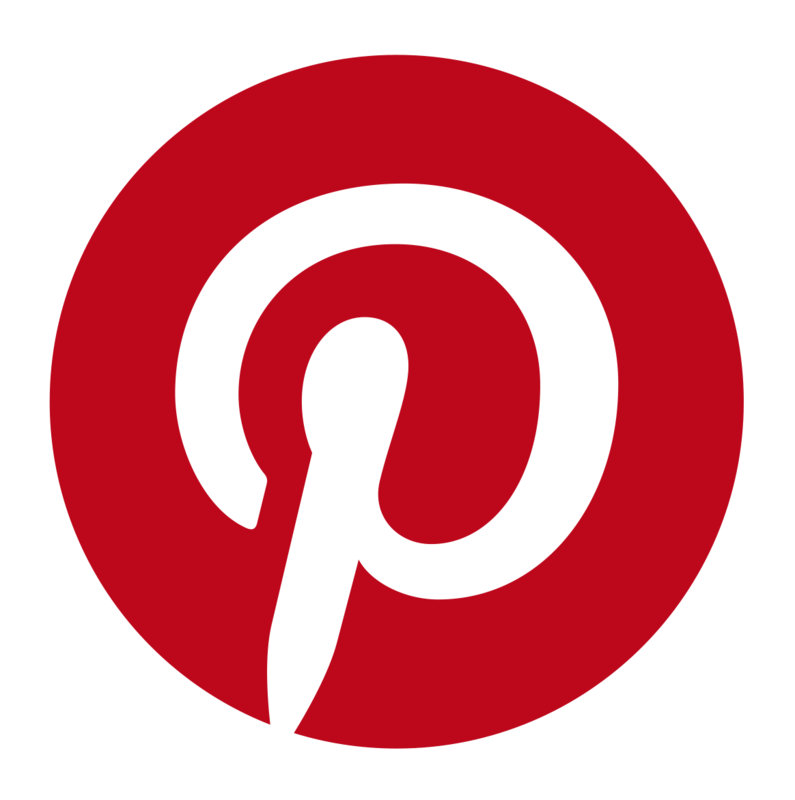 I have several posts devoted to the topic. Start with this one. It’s lovely to give & receive gifts, but you don’t want to give something that will just be clutter for the recipient. Food, money, and flowers are all gifts that don’t have to be dusted. Don’t be guilty of giving someone a “guilt gift” which is an object that they are keeping only because you’ll see it when you come to visit. And likewise don’t keep a guilt gift, if that’s really what it is. The objects you have on display in your home should be there because you use them or love them—no other reason. Clothing is often a welcome gift, if it’s truly apparel that will be worn and appreciated. However, never give clothing with bold stripes since stripes portend arguments. I find these vintage pottery bowls (the green from Metlox Pottery, the white from Hull Pottery — the ONLY Hull item I like) quite charming. Other bowls might seem similar to someone less passionate about pottery, but would make poor additions to my collection. It’s always wise to ask a collector before buying something for them. If you are giving a gift to a collector to add to their collection, make very sure that it will be a welcome addition. Remember, a gift does not have to be a surprise to be welcomed. I’m a passionate collector of vintage pottery—certain vintage pottery. Most vintage pottery is not to my taste—in fact I consider much of it quite tacky. Hull Pottery is a great example of this for me. I don’t care for any of it—it looks like saccharine Roseville to me. But there’s one exception—a sublime, matte glaze, white bowl in the shape of a large tropical leaf. Its charm is explained by the fact that Hull didn’t design it—they bought the mold from Metlox Pottery. It was part of Metlox’s “Leaves of Enchantment” series, which was made in glossy green. Hull changed the bottom slightly and that was all. Then after awhile they couldn’t resist making it tacky—really tacky. They put one bunch of purple grapes in the bottom and made it glossy—that version gags me. Oh, I have digressed—pottery does that to me. 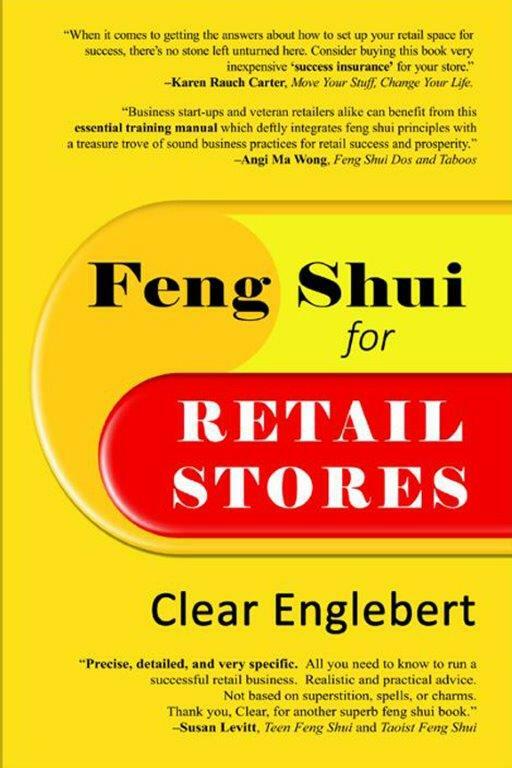 If you need more motivation than this to be cautious about giving gifts that could become clutter, read Clear Your Clutter With Feng Shui by Karen Kingston. Here is my review of the title. It’s a very powerful book! I often consult for people who are trying to sell their home. The goals in selling real estate are to do it quickly, harmoniously and for the best price possible. 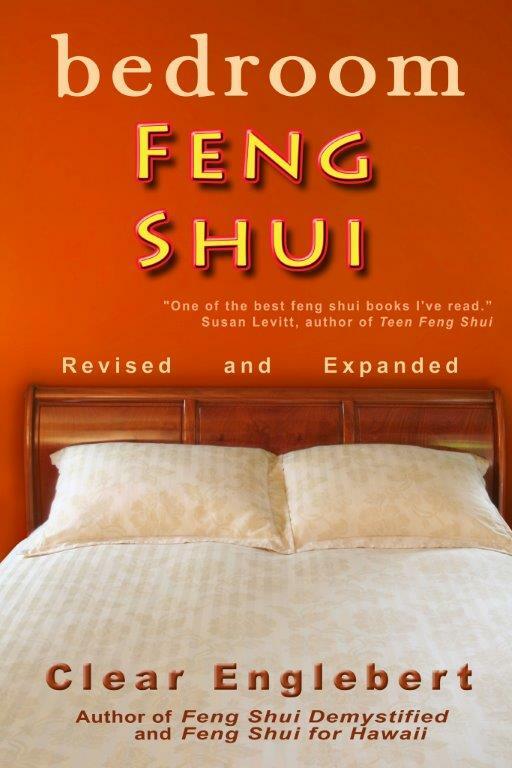 The results of feng shui amaze me. A seller’s agent recently told me, “When the client follows your advice, the place sells within a half a day to a week. 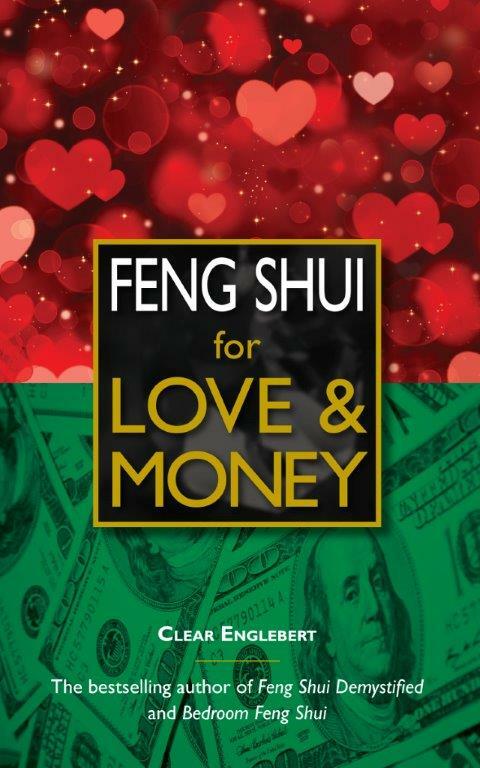 When they don’t, it continues to sit on the market.” You don’t need to be a rocket scientist to use feng shui. Most of the principles relate to common sense. 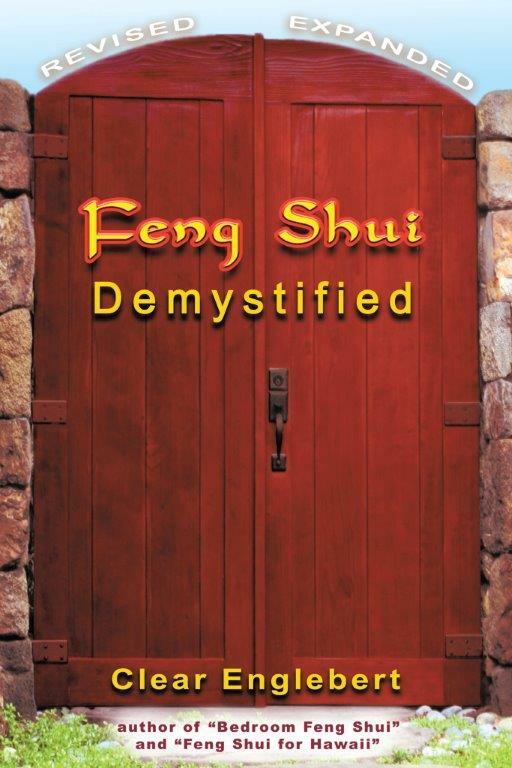 How can feng shui apply to real estate? Well, when selling a home, your goal is for something very yang to happen. You want the property to change title. You want money to change hands. You want movement, not stagnation. So help it happen by emphasizing certain yang aspects or characteristics. 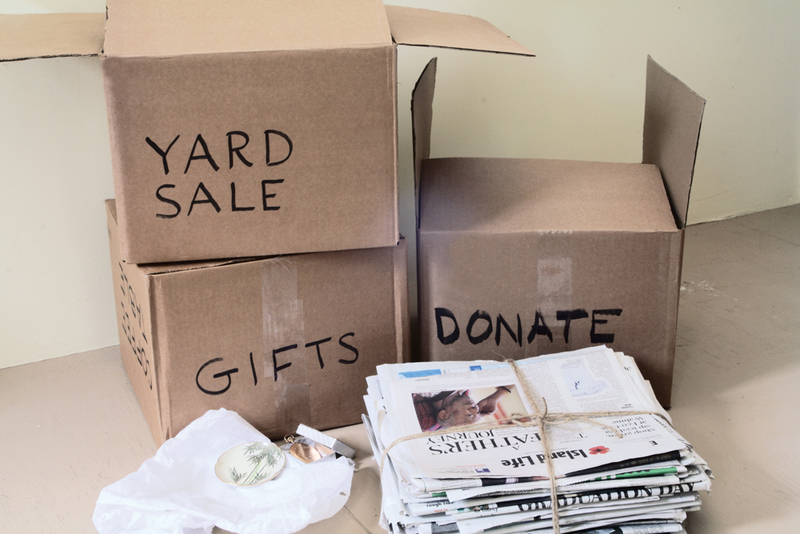 This post is titled “What’s In, What’s Out”—as in, what should you keep in your home and what should you get rid of (or at least hide) to encourage that moving energy. A clean and uncluttered look is often all it takes for a fast sale. When I write a book, I think up a bunch of good words and then get rid of most of them. It’s called editing. Use the same process when deciding which items to leave on display. Less is better. Just leave the highest quality items. A well-made item lifts the vibrations around it. It makes you smile. This room is ready for a showing—there is a nice flow to the furniture, the room is not too cluttered, but not empty; it is very tidy, and the personal possessions are limited to a smattering of nice objects that aren’t overly specific to the owners. The bowl of fresh fruit on the table is a nice touch. Let’s start with some of the biggest things you own in the home, the furniture. Of the various furniture scenarios, one of the worst is no furniture. It’s a yin/yang imbalance. Too yang to feel really comfortable, and too yin because the impression is, “No life here—why live here?” An empty house just says “empty.” The buyer is presented with question marks everywhere, and that’s never the best way to say hello to chi energy. You are requiring the buyer to imagine living there, without actually seeing what it looks like to live there. Just because someone is a potential buyer doesn’t mean they’ve got a great imagination. Your goal is to appeal to the broadest spectrum of people. In limiting your prospects to those who have good imaginations, you are limiting the amount of chi energy that your home can attract. The furniture should look inviting. Imagine a chair or couch to be a person. As you enter the room, they’ve either got their arms open to you or their back to you. Open arms are welcoming. If the back of a chair, and especially a couch, is first presented when entering a room, it symbolizes a chilly reception—a person with their back to the guests coming in. Try to arrange the seating so that you don’t have to walk around it to sit in it. Make it easy to walk into the room. Edit, categorize, pack. And keep it neat! One place those boxes can’t go: the closet. Do not have closets and cupboards crammed full. They need to look spacious. Keep closet doors closed during showings, even if the house is empty. It’s a neater look—more yang. The symbolism of the objects in your home and their arrangement is crucial when it is for sale. Their subconscious message needs to be, “Those who live here are happy and successful, and if you live here, you will be too.” However, you should de-personalize the home by removing photos of yourself, family, and friends. Keeping them on display keeps you more firmly in the house. That’s a “stuck” energy, not a moving energy. You want the buyers to easily picture their own family and friends in the space. Items that are very particular to you or to your family’s life or history should be packed away. Such things are trophies, awards, diplomas, family coats of arms, etcetera. The next post in this series on selling your home will also address energy, but focused on how it moves through the home—and how that can affect your potential sale.